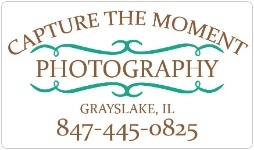 Capture the Moment Photography is a portrait photographer located in Grayslake in Northern Illinois, serving Gurnee, Grayslake, Libertyville, Lindenhurst, Lake Villa, Wadsworth, Lake Bluff, Lake Forest and other areas of Lake County, IL. Specializing in Outdoor Portraits, High School Senior Graduation portraits, Pet Portraits, Families, and Theater and Business as well as Social Media Headshots. Sports action photography is also a major focus capturing stop-action moments in sports - why settle for posed shots when you can have the action? Utilizing lifestyle portraiture, I capture those special moments in the life of your families and loved ones. Let me bring out and capture the real YOU! Go beyond the ordinary! Create custom portraiture to show who you really are!